From stylish dining rooms in DC (see: Casa Nonna) to the hippest spots in NYC (see: The Dutch), I've been noticing vintage-inspired, striped dish towels being used as napkins all over the place. It's a trend that's been creeping onto tables as restaurants shed the white formal linens and go for a more casual vibe. I love the look, which sort of evokes an Italian farmhouse. Or a French farmhouse. Actually, I'll take any ol' country farmhouse. And since I often look to restaurants for design inspiration, I went searching for a good deal to get the look at home. From luxe to low-cost, plenty of places are hawking them. On the high-end, there's the gorgeous quality Belgian linen from Libeco, priced at about $16 per towel (at right). Pottery Barn has some pretty striped napkins (four for $16). A much better deal, they're a steal at Ikea for 79 cents apiece. And I ordered a dozen from restaurant supply site Wasserstrom, where you can get a dozen for $13.50. That's the one pictured at the top of this post, and while Belgian linen they are not, I love them and have already used them for a dinner party. Yeah, or more commonly known as a chefs side towel. Kind of tacky if you ask me. Fyi, while maybe a trend now in DC, New York's Pastis has used that towel as a napkin since they opened 10-11 years ago. Since then, they are a fairly common sight in New York restaurants. Things can take a while to, uh, trickle down. Thanks- this was exactly what I wanted to find for casual napkins. Thanks for the restaurant wholesale site to purchase them at. Love the farmhouse casual look. So glad you found what you were looking for Kimberly! 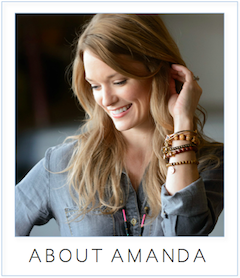 Amanda, great info. and great read for your blog with good detailed information. I have been searching for this type of towel to use as a napkin for months! Thank for the useful information.